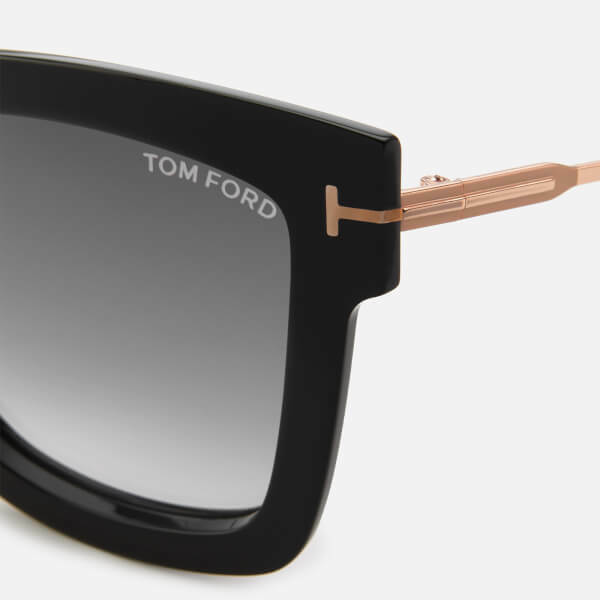 Tom Ford soft square sunglasses with gradient smoke lenses. 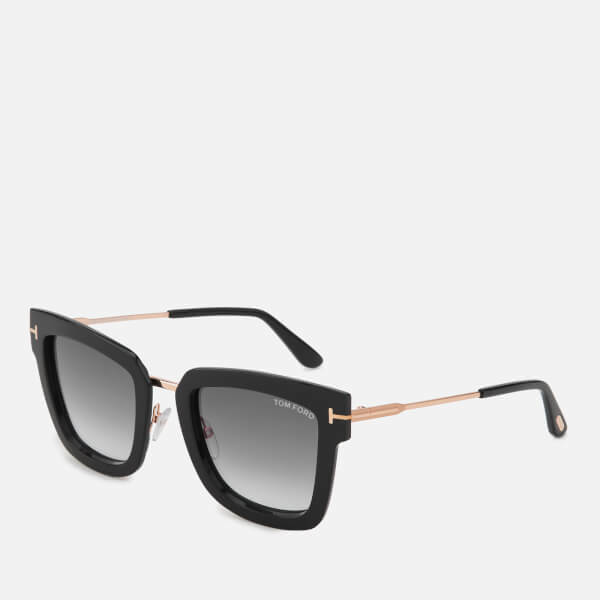 The 'Lara' sunglasses have a shiny black acetate frame with a rose gold-tone metal nose and temples. 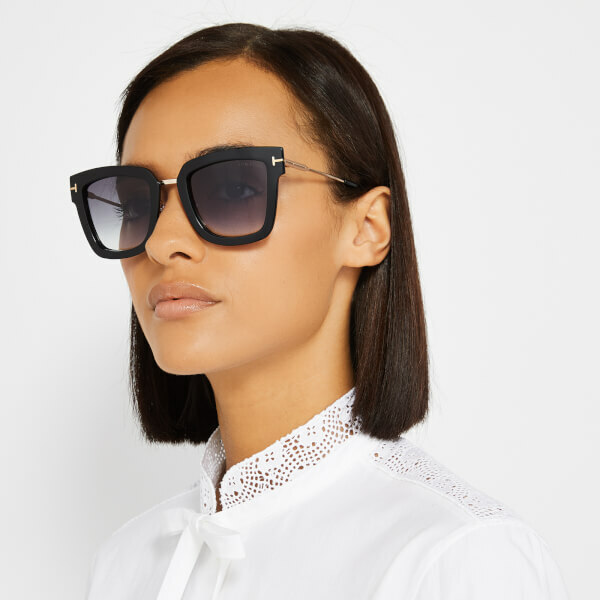 Equipped with metal and acetate arms, and curved ear pieces. 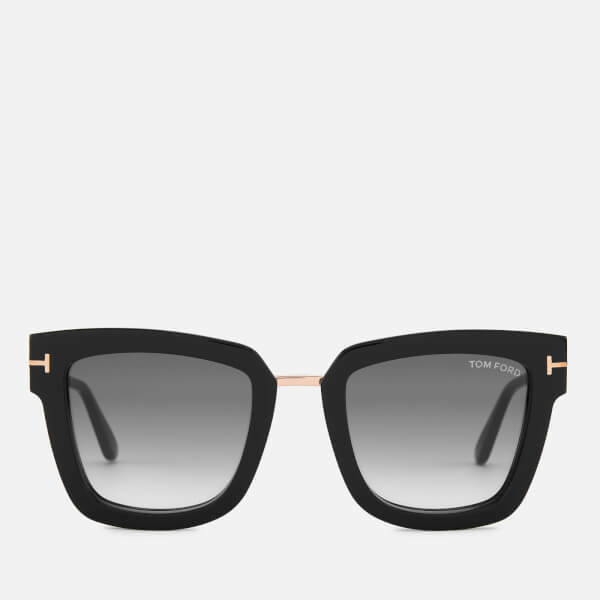 Branding to the left lens. Metal 'T' logo decoration to each lens. Housed in a glasses case and gift box.